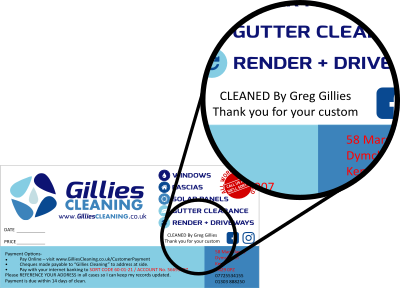 We have recently re-structured things a little at Gillies Cleaning. That doesn’t effect you, its still the same great service! The only change is who you pay. Payments will go direct to your particular window cleaner from now on. Your window cleaners name can be found on the slip they left through your door.